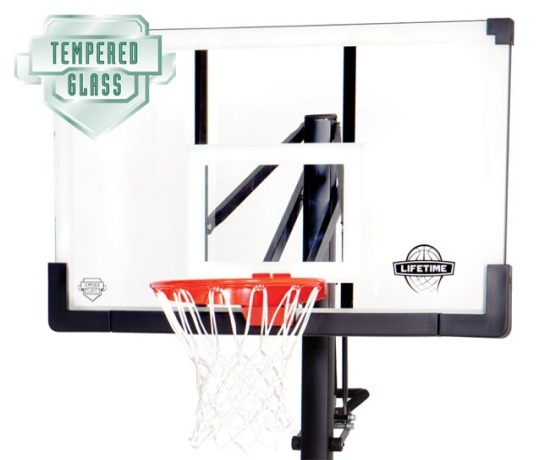 Get the best rebound on your home basketball system with a tempered glass backboard. 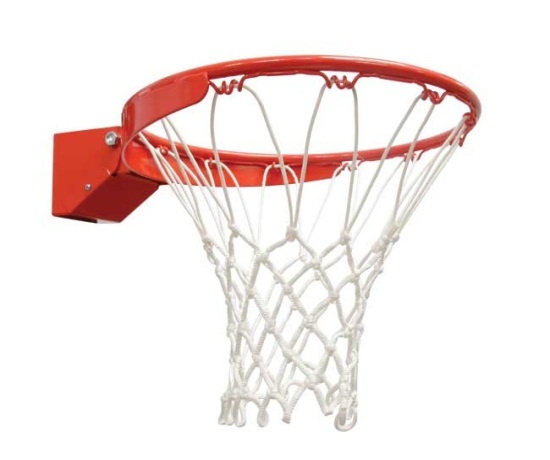 The 90062 features a 54 inch glass backboard, a 4 inch square pole, and a Slam-It Ultra breakaway rim. Great for home basketball courts in the driveway or the backboard. The square pole of the system is more rigid in the ground than round poles, and moves less when in use compared to a basketball system with a round pole. The breakaway rim holds up well to aggressive play. 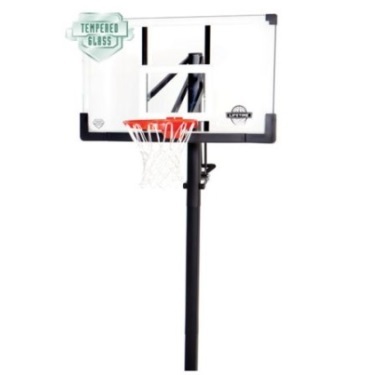 Lifetime basketball hoop model 90062 comes with a 5-year warranty from Lifetime Products for United States and Canada customers. 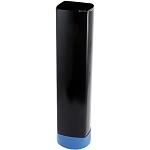 All metal components are powder coated to help resist rusting. Dimensions: 54 inches W x 33 inches W.
Backboard frame: 1.5 inch steel. Backboard includes frame pad to help protect players from impact. Tempered glass thickness: 6 mm (2 inches). Includes all-weather, 150 gram white net. Uses the Pump Adjust height adjuster from Lifetime Products. 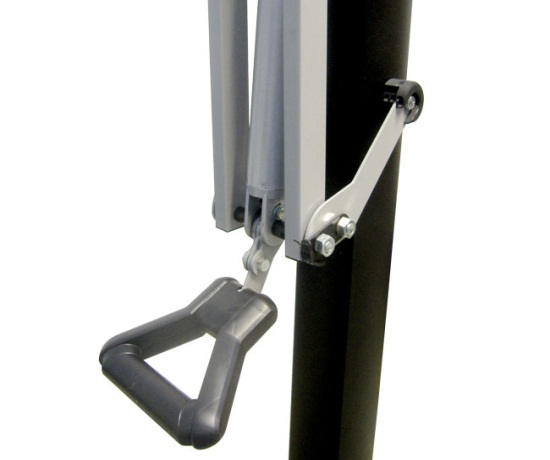 Pump Adjust uses a pneumatic height adjustment mechanism to help you easily move the backboard up and down using only one hand. Pole construction: 3-piece pole, 4 inch square pole pole. Patented friction-weld joint to prevent unwanted movement. Shipping dimensions: 58 inches x 37 inches x 8 inches. Q: What is the difference between the 90062 and the 90014 Lifetime basketball hoop? A: The 90062 and 90014 are almost entirely identical systems. The only major difference is in the pole structure. The 90014 has a 1-piece steel pole. The 90062 has a 3-piece steel pole. Q: Is tempered glass better than acrylic? A: Tempered glass is a much more rigid material than acrylic. The rebound when the basketball hits the backboard will be much better on a tempered glass backboard than acrylic backboard. Acrylic backboards would be more useful than glass backboards in situations where the basketball system is installed in an area where it might be more susceptible to abuse, e.g. someone throws a rock at the backboard. Acrylic backboards hold up much between in these circumstances than glass backboards. This Lifeitme in-ground basketball hoop model 90062 ships via an ltl freight carrier directly from the factory in Clearfield, Utah. Shipping! Orders generally leave the warehouse withing 2 business days. Delivery of this product is via a curbside delivery. This type of delivery requires the customer to be present for the delivery to sign for the delivery and to move the packages wherever needed on the delivery property. Delivery appointments are scheduled before delivery to residential addresses. Business deliveries can also contact the freight company when they receive the tracking number for their shipment to schedule an appointment. Dimensions: 58" x 37" x 8"